Daniel Clowes is a cartoonist who created a comic made up of short works in various styles called Eightball, probably best known for the coming of age story Ghost World. 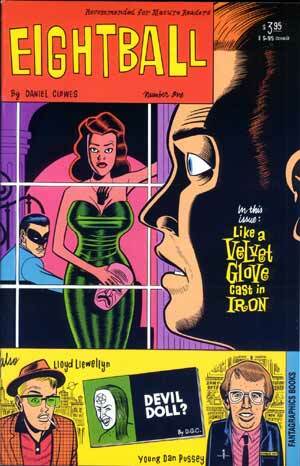 I’m a great fan, but Ghost World was certainly my least favorite work of his. I didn’t feel much sympathy for the characters, which might say more about me than the author. I found myself wanting them to lose and be unhappy. This feeling only grew in the feature film adaptation of that work. I suppose I could be forgiven, as most of Clowes’ work ends up being about people who can’t get it right to the degree that you expect them to implode. Sometimes funny, sometimes sad, sometimes dramatically, a Clowes character is almost always one that is emotionally adrift. Clowes takes the entire concept of stories told with sequential drawings to a new level. These are elusively moving exposes of the foibles of mere mortals, drunk on pop culture and self-obsession. He understands our funny way of being both stupid and brilliant, and his work can confound, amaze and electrify you all at once. He can draw very realistically as well as abstractly, usually in one kind of story or another. My favorite of his is Ice Haven. 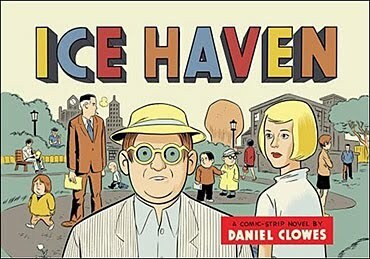 After many years of experimenting with different styles, Clowes finally developed a story which allows him to use his wide variety of stylistic flourishes all to tell one story. Clowes can do cartoonist work as well as he can do starkly realistic illustrations, and here we have a cohesive Little Epic told in a series of seemingly unconnected comic strips that would make the most amazing Sunday comics page ever if they were laid out as such. 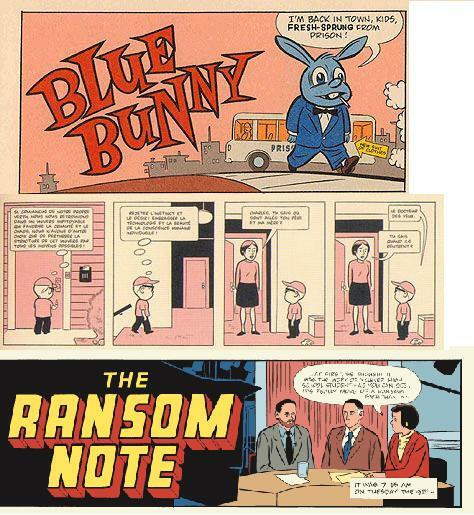 The perception of each character to the world they inhabit sets the tone for the art, so that the young boy is in a world not unlike Peanuts, while the detective is in a literal reality, like Rex Morgan M.D. The result is a brilliant whole, and one that beautifully illustrates that only a comic could convey.